“Both Directions At Once”: A Window, A Pathway or Just Another Day at the Office? John Coltrane will have been with the ancestors for fifty-one years this month. Yet he remains jazz’s toughest act to follow. Many people, not all of them fans, insist that jazz history stopped moving when Coltrane’s heart stopped beating in a Long Island hospital on July 17, 1967. Even those who were mystified, if not altogether alienated by Coltrane’s headstrong voyages beyond the stratospheric boundaries of tone and invention acknowledged him as a bellwether for whatever would happen next for the music. His death at just 40 years old seemed to signal that there would be no more “next,” only whatever happened before. So it’s hardly a wonder that a large crowd gathers whenever somebody uncovers Coltrane music that nobody’s heard on record before. 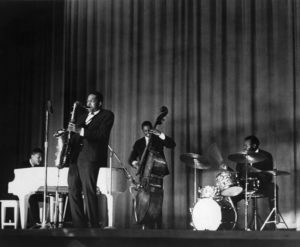 They all swarmed four years before when a 1966 concert of Coltrane’s second, most experimental quartet was packaged and released to the public as Offering: Live at Temple University (Impulse!/Resonance). Though it was unavailable for digital downloads, Offering was at or near the top of the Billboard jazz charts for several weeks. My guess is that a majority of those purchasers were just as confounded by the music at that concert as they were by such late-period Coltrane LPs as Kulu Sé Mama, Expression, Meditations and Interstellar Space (about which more later). But its success affirmed what now seems an everlasting attraction to John Coltrane as karmic messenger; it’s as though we’ve all agreed that somewhere in Trane’s legacy there’s something we’re missing and we need only pay close attention when another such discovery is made. Hence the buzz and jubilation surrounding this month’s release of Both Directions At Once: The Lost Album (Impulse!). 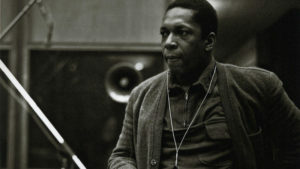 These are never-before-released recordings of a March 6, 1963 studio session with Coltrane and his “classic quartet” of pianist McCoy Tyner, drummer Elvin Jones and bassist Jimmy Garrison. The set, recorded at Rudy Van Gelder’s legendary studio in Englewood Cliffs, N.J., includes several takes of Coltrane’s “Impressions,” the standard he’d built using the same harmonic baseline as Miles Davis’ “So What” on 1959’s epoch-making Kind of Blue. (Ashley Kahn’s typically informative liner notes mention that Trane himself wrote “So What” on the box holding the “Impressions” tapes.) There’s also a three-minute-plus take on “Nature Boy” and a couple of versions of “One Up, One Down” (not to be confused with “One Down, One Up,” which the quartet delivered with stunning abandon in a February1965 live broadcast at the Half Note previously released as part of a 2005 bootleg). Sonny Rollins’ vivid encomium for this package, “This is like finding a new room in the great pyramid,” encapsulates every fan’s enthusiasm for Both Directions At Once. 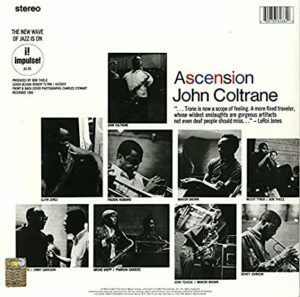 Still, while it’s only proper to have Rollins’ benediction on such an auspicious occasion and though I yield to no human in my devotion to the Colossus, I don’t think there are any startling discoveries to be found here regarding Coltrane’s genius. Beyond the renewed appreciation for the workaday brilliance of the quartet, of which there can never be enough examples (and is, by itself, no small virtue), I think the revelations of this disc have less to do with Trane and more to do with how jazz music used to produce both accessibility and adventure with both assurance and fortitude. The modal innovations pioneered and expanded by Coltrane have become so commonplace in jazz that it becomes easy to forget how exhilarating and easy to love its themes were. Moreover, I think that when many listeners, whether jazz aficionados or not, embrace this music, they are consciously or not cleaving to a moment in time just before Coltrane decided to accelerate his inquiries into deeper, wider possibilities. Put less charitably, it’s at or near the spot where even the most devoted and forbearing listeners said “Adios” to Trane as he soared headlong into what they believed were impenetrable regions of tonal and rhythmic chaos. 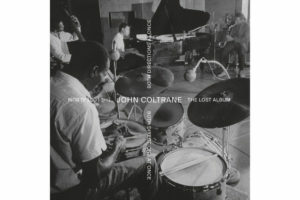 So while I’m hoping that this “lost album” re-galvanizes the faithful while indoctrinating new generations to this quartet’s glories, I’d also commend all these listeners to use this occasion to slide over to where Coltrane began to press the edges of the envelope. I’m referring to 1965’s Ascension, the polyphonic freeform ensemble piece that joins Coltrane, Jones, Tyner and Garrison with such avatars of what used to be called “The New Thing” as saxophonists Archie Shepp, Pharoah Sanders, Marion Brown, John Tchicai and the enigmatic trumpeter Dewey Johnson, who played alongside Freddie Hubbard here and never recorded again. Those non-indoctrinated or hostile to free jazz hear nothing but random chaos in this piece. 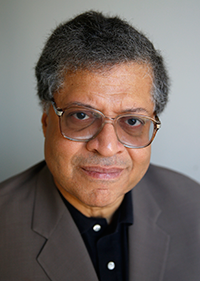 But if you pay attention from the start, you find that the whole sprawling, intermittently surging work can be viewed as the picaresque adventures of a five-note phrase – well, four notes actually since one of them is repeated. But try to keep up with that phrase throughout and you may find that while the whole apparatus seems to take you all over the place, it can also keep you centered in surprising ways. Which I’ve always suspected were Coltrane’s intentions all along. 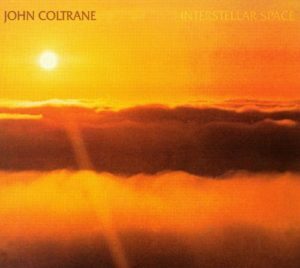 If that trip seems in any way fruitful, then I’d recommend you jump ahead several albums and two more years to Interstellar Space, released by Impulse a year after Coltrane’s death and which has thus been called “the final masterpiece” by The Penguin Guide to Jazz Recordings. This is by no means a consensus opinion, given the many listeners who can’t get past the wailing, keening tone of Coltrane’s tenor in the first few bars of “Mars” as he and drummer Rashid Ali detonate their five-piece cosmic duet. But what some view as run-amuck obscurity, I prefer to accept as an act of willed ecstasy, a release from any obvious constraints of space and time (in the musical sense) and a daring leap towards a more organic means of fashioning unity in sound and meaning. Some believe that “getting” such music requires sticking your head as close to the speakers as you can until its “meaning” materializes in front of you. That’s almost the right idea, but as I’ve suggested before in other contexts, I think you’re better off carrying the music with you and allow it to blend in with the other more inchoate sounds in your life. That’s how I “got” it – or more to the point, appreciated it. Another suggestion: After letting these “Interstellar” sounds live in you for a while, go back to Both Directions At Once. And yes: there’s a hint of an explanation to All Things Trane in that title, but you’ll have to finish the rest of the course on your own. Comments Off on “Both Directions At Once”: A Window, A Pathway or Just Another Day at the Office?